The high-pressure shut-off valves by Sherwood are specifically designed for heavy-duty use on tube trailers, fill plants, manifold systems, and other piping systems. These master valves are compatible for use with carbon dioxide, acetylene, nitrogen, argon, oxygen and other inert gases. These are highly versatile and allow flow control with the 3 turn operation that fully opens the valves. 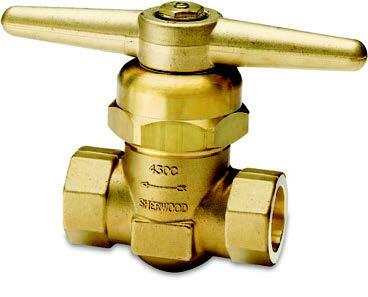 The master valves are easy to operate and install.